If you invest in tax sale properties at the government held tax deed or tax lien auction, you’ll find that almost all the properties have one thing in common: none of them have a mortgage. The banks pay unpaid property taxes on homes that are mortgaged almost every time. Why is this? The answer is simple: when the government forecloses on a property for unpaid property taxes, all liens and mortgages are wiped out. The buyer of the tax lien or tax deed, when they become the owner of the property, will have a free and clear title to the property. So if banks DON’T pay unpaid property taxes, then they will lose their ability to foreclose on the property and recoup their investment. Also, frequently banks bundle property taxes into the monthly mortgage payment for homeowners. That way, as long as the mortgage is getting paid, the taxes are also getting paid, and if an owner gets behind on their mortgage, the mortgage company is still keeping the property current on its taxes and safe from government foreclosure. What this means for investors is that it’s a much better investment to buy tax sale properties than properties that are in the process of bank foreclosure. Since most tax sale properties are free and clear when you buy them, you remove the headache of settling with the mortgage company and other lien holders… not to mention you don’t have to pay the mortgage while figuring all those details out! Unfortunately, savvy investors have already figured this out, and large companies have grown up around this industry. If you try to buy properties at auction, you’ll be bidding against companies that invest in tax sale properties full-time. They employ teams of researchers that figure out which properties are the best investments, and they’ll outbid you on these properties every time. The best thing to do is to forget the tax sale all together, and let the big companies do your dirty work for you! After the tax sale has been completed, there is usually a year where the buyer can come to the tax office and “redeem” the property– pay the taxes off, and get their property back. During that time, you can see which properties have been bought by the big companies and narrow your focus to those particular properties, and then go to work on buying them directly from the owner. Delve into the world of “deed grabbing” as this method of tax property investing is known, and learn to easily profit with little to no competition. 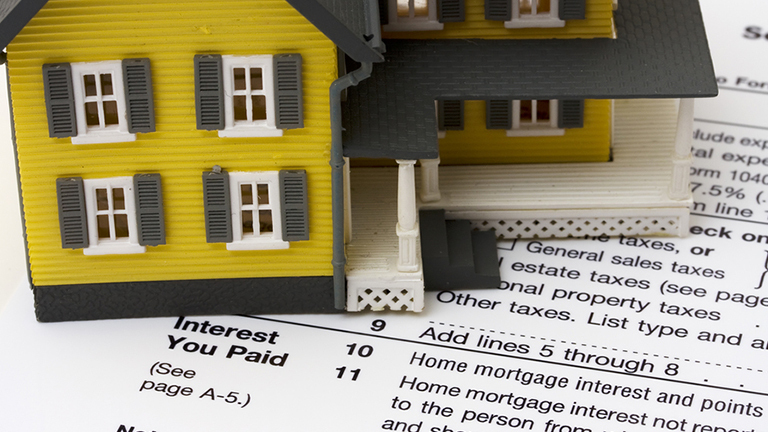 Be the first to comment on "Why Do Banks Pay Unpaid Property Taxes on Mortgaged Homes?"